To promote an event on New Years Eve the client asked for a design that would be bold, stylish while informing important details to the viewer. This design was used for A4 posters. 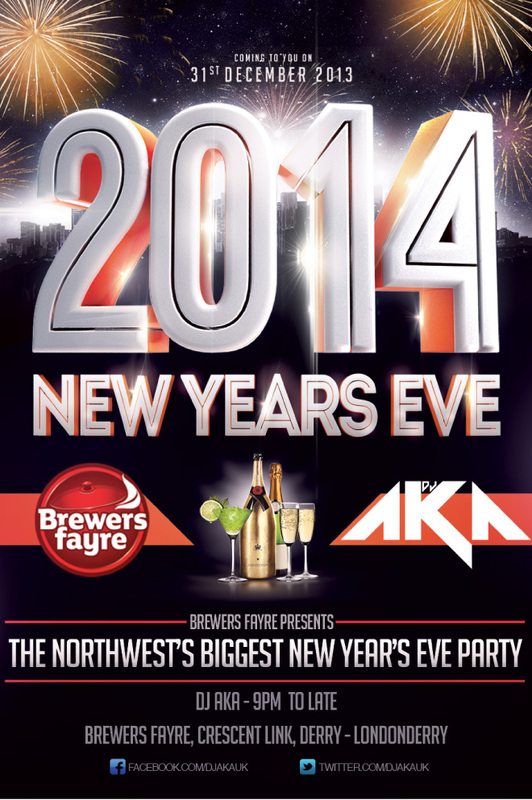 It was also heavily promoted on social networking sites, to promote the event for DJ AKA and the bar.